On Tuesday evening I had the wonderful experience of attending the 2014 Edmund N. Bacon Prize and Lecture in Philadelphia as the guest of Greg Heller, the author of the biography on Ed Bacon. I met Greg when he reached out having heard about our Baconfest event here in Calgary. It was a great evening for many reasons. The reception at the Philadelphia Center for Architecture provided the opportunity to meet a number of people. First, Greg’s stories about Ed Bacon himself. Greg worked with Bacon for a year and has written the book, so he has wonderful insights that he will be sharing with Baconfest attendees on the events final evening of February 26, via video conference at the Dutton Theatre. Second I got to meet Hilda Bacon, Ed Bacon’s daughter. It was Hilda who unknowingly introduced me to the films we have seen when she hosted the films at the national planning conference back in Philadelphia in 2006. When I mentioned the response of our audience when Bacon walks through the Tuileries Fountain, she smiled and told me that was her father. That he always created fun and spontaneous actions to keep people on their toes. This was backed up by a former student of Bacon’s who was in attendance. He told me how Bacon would take his classes walking down the middle of the Ben Franklin Parkway in Philly, just as he had done in his films. How he had them walk through the Swann Memorial Fountain in Logan Square and then run and jump into a wall at the terminus of the corridor, so the students could feel the impact of the strength of the visual reference points anchoring the end of the corridor. And for those who have read Bacon’s book, this is one of the strongest references highlighted in his film on Rome’s evolution. have them jump into a wall to highlight the terminus of the view corridor. Then I met a professor who was in the construction business for decades, and now teaches construction management at Drexel University in downtown Philly. Charlie has produced a documentary on Ed Bacon called Scrambled Eggs and Bacon. I have his card and hope to follow up to see if we can get the documentary for our film festival closing. We then moved across the street to the Convention Centre where the main award and some student awards were handed out. The recipient of the Bacon Award was former Philadelphia Mayor and Governor of Pennsylvania (two terms each), Ed Rendell. For those of you unfamiliar with Governor Rendell, his administration brought Philadelphia back from the brink of financial challenges and lead the charge for infrastructure investment and now one of the leaders of the Build America’s Future group along with former Governor Schwarzenegger and former Mayor Bloomberg.In talking to Governor Rendell at the reception then listening to his engaging dialogue in the auditorium, the power of many of the things we have heard in the Bacon films came through, and the key was infrastructure. Governor Rendell compared cities to business. He said, no successful business does not invest back into the infrastructure that makes that business successful. It is the same with cities. Our roads, bridges, sewers, water lines and transportation and electrical systems. I would add our social network and the partnerships that create the strong fabric that makes city life whole, be it public art, the arts, affordable housing, parks etc., are equally critical when considering infrastructure. The evening ended with the optimism of the student awards envisioning a Philadelphia with autonomous cars (driver-less), with some interesting ideas. The lasting thought as we left the auditorium, was Governor Rendell urging us to consider that in the United States that planning was critical to making sure cities stayed competitive and provided the service expected by residents. That the key was investment in infrastructure and not to be afraid to bring that message to the public. He added that be it rebuilding 1,400 bridges in Pennsylvania or upgrading roads through tolls, the public can see the benefits. He cited the last great comprehensive planning of infrastructure in the country, the building of the interstate highway system under President Eisenhower in the 1950’s. A striking example of the lack of coordination at higher levels of government. Makes one wonder if in Canada that parallel goes back a little further to the 1800’s and the “last spike”, completion of the trans Canada railway or as someone suggested at last night’s film, the St. Lawrence Seaway. 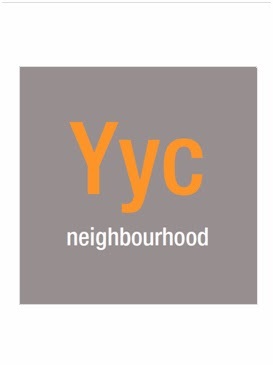 If you have not done so yet, please sign up for our Yyc neighbourhood – 1000 Friends of YYC to stay informed on planning matters in Calgary and to help shape the future of our city. Be sure to join us next week (Feb. 26) for the finale of Baconfest!